A readable guide to the basics of quantum theory for those with no detailed grounding in physics. It is one of the first serious books about this subject to address what the theory means for a common sense account of reality. It will appeal to readers of "A Brief History Of Time" and "Consciousness Explained". 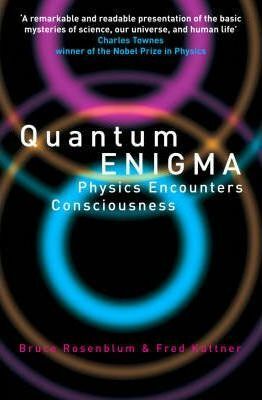 "'Though what you are saying is correct, presenting this material to non-scientists is the intellectual equivalent of allowing children to play with loaded guns' A colleague's objection to the authors' college course, 'The Quantum Enigma' 'An immensely important and exciting book' Raymond Chester Russ, editor of Journal of Mind and Behaviour"
Bruce Rosenblum is Professor of Physics and former Chairperson of the Physics Department at the University of California, Santa Cruz. He has consulted extensively for the US government and industry on technical and policy issues. Fred Kuttner teaches physics at the University of California, Santa Cruz.